It is not an easy task to do trading in the Forex market. On the other hand, there are numerous traders that are still capable enough to make money through it in a short time. 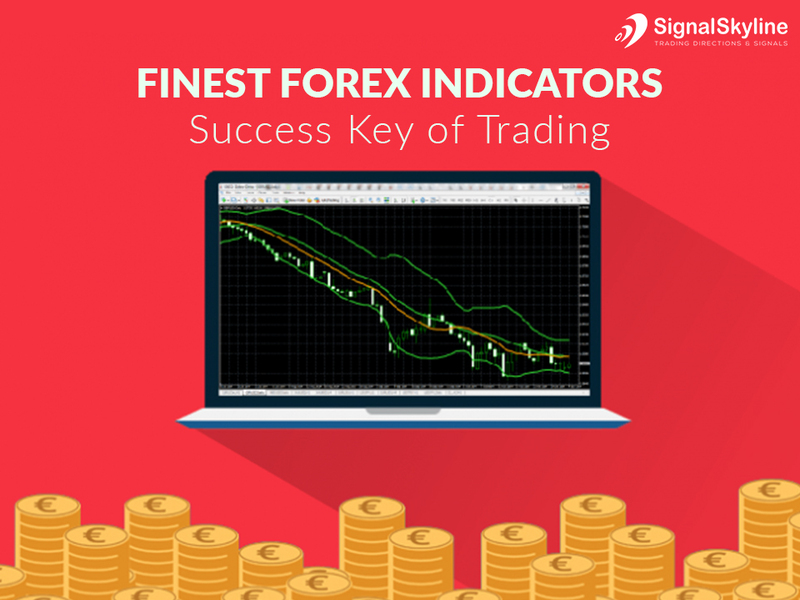 These traders generated money through Forex trading because they have used indicators. There are various types of Forex trading indicators. However, there are only a few indicators that are good to use. These indicators help the traders to predict future of the Forex market. In this way, they make the right decision at the right time. The Forex market is volatile. Due to this reason, it is very difficult for the traders to predict the direction of the market. Thus, the best indicators are used by many traders to understand the rationality of market. On the other hand, the Forex market has the tendency to act in a specific direction under specific conditions. Those who have just started Forex trading must make themselves familiar with the best indicators. There are some specific price patterns that occur again and again. With the help of the indicators, it is easy to recognize such patterns as they are formed to get an edge by utilizing that information. Nevertheless, the traders have to ensure to use trading software that is rich in feature. Every trader has its own personality and style. So, every trader must choose an indicator that suits his/her own style and personality. In this way, they would be able to make the most of it. Be that as it may, there is no Forex indicator that is known to be the best one. A trader must spent time and get knowledge about a range of Forex indicators and then select one. When a trader selects the trade that suits his/her style and personality then the indicator helps him/her to follow the trend. For this reason, it is recommended that the trader must start with the simplest Forex trading indicator. The Forex traders must comprehend that Why Pips Matter in Forex Trading? You can read our previous post to understand it. SMA is the short form of simple moving average. It is a Forex indicator. It is the average price for the particular period of time. However, here the meaning of average is the arithmetic mean. Such as, the 20-day moving average would be the average of the closing prices throughout the last 20 days. The main reason to use it is to smooth out the movements of price in accordance to recognize the trend proficiently. It has to be noted that the SMA is actually a lagging Forex indicator. It includes the prices from the past as well as offers a signal when the trend begins. If the time period of SMA would be longer then the smoothing would be greater. EMA is the short form of exponential moving average. It is quite similar to SMA but this trading indicator focuses on the latest prices. It means that the EMA would respond rapidly to the changes in price. The distinctive values for the long-standing averages would be 50-day and 200-day exponential moving averages. The 12-day and 26-day exponential moving averages are quite famous for the short-range averages. An understandable system by using the dual moving average is used to trade every time the 2 moving averages transverse. You can easily buy when the short moving average transverses above the slow moving average. Thus, you can sell when the short moving average transverses below the slow moving average.